Fitzrovia is an inner London neighbourhood with a mix of homes, commercial premises, medical and educational institutions. The neighbourhood has wide disparities of wealth. The district is frequently described as an urban village having a bohemian history, upmarket and home to some celebrities. Media reports often describe the area as “trendy”, “glamorous” and “swanky”, but the reality is very different. If you are planning to live here or visit, our guide (a work in progress) tries to give a more realistic description of the area. Fitzrovia lies about 1 mile (1.6km) north of Trafalgar Square in London, United Kingdom. It is near the West End situated partly in the London Borough of Camden and partly in the City of Westminster. It is a proper quartier – a city district with a dense mix of residential, business, retail, education, healthcare, and more recently, art galleries. 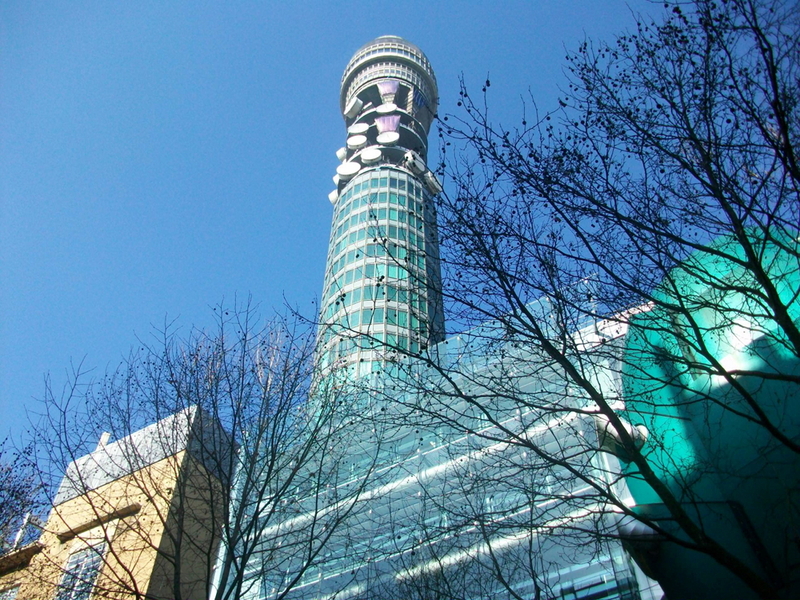 The 189m tall BT Tower is roughly in the centre of the neighbourhood. Its well-know streets include Tottenham Court Road, Goodge Street, Charlotte Street, Fitzroy Square, Great Titchfield Street and Great Portland Street. It includes part of the postcode areas W1, WC1 and NW1. The neighbourhood is roughly bounded by Oxford Street, Great Portland Street, Euston Road and Gower Street. It lies north of Soho and between Bloomsbury and Marylebone. Back to contents. There about 8,000 residents in the neighbourhood and around 50,000 people work here. The neighbourhood is classified as above-averagely deprived and like much of inner London it has wide disparities of wealth and contains a mix of affluent property owners as well as many private, council and housing association tenants. About 30 percent of people here either own their own home or have a mortgage, about 30 percent are in private-rented homes, another 30 percent are in social housing, and about 10 percent of people are living in shared or hostel accommodation. There are about a thousand students living in halls of residence, and around 1,500 people over 65 years of age. 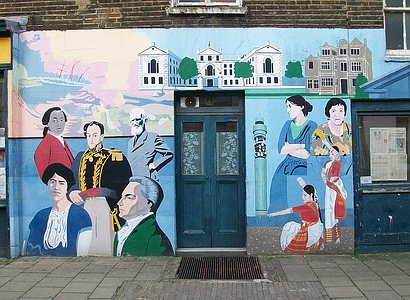 About half the residents are white British and a significant Asian population (15 percent) within which there is a large Bangladeshi community. In the autumn of 2016 there were at least 40 homeless residents sleeping outside on the streets. On the Camden side of Fitzrovia, University College London Hospitals NHS Foundation Trust (UCLH) has an ever increasing empire of medical buildings. Most of these are clustered in the northern part of the district between Tottenham Court Road and Gower Street. A number of buildings owned by either UCLH or UClH Charity in Cleveland Street and Tottenham Street lie empty and their future use is not known. University College London (UCL) has several buildings in the area as does the University of Westminster. There is a large media industry in Fitzrovia. The BBC’s New Broadcasting House and other BBC buildings are on the western edge of the neighbourhood. Many advertising, digital media and public relations companies are based in Fitzrovia. The music and film industry also has a presence. There are many architectural and engineering firms in Fitzrovia. Arup and Make are based in Fitzroy Street. There are also a number of design practices in Fitzrovia. The Great Titchfield Street and Great Portland Street area still has a number of “rag trade” showrooms and there are a number of small independent tailors here. Tottenham Court Road has a large number of electronic shops and many home furnishing stores. Fitzrovia has about 40 public houses and there is a large cluster of restaurants on the southern part of Charlotte Street. The neighbourhood has an ever increasing amount of cafes, bars and restaurants. Back to contents. The area is very well served by public transport with many buses serving the area. There are six tube stations: Great Portland Street, Warren Street, Euston Square, Goodge Street, Tottenham Court Road, and Oxford Circus. Marylebone, Euston, Charing Cross, Kings Cross, and St Pancras International mainline rail stations are also within walking distance (less than 1.5km) of the neighbourhood. There are several TfL Cycle Hire stations in district. 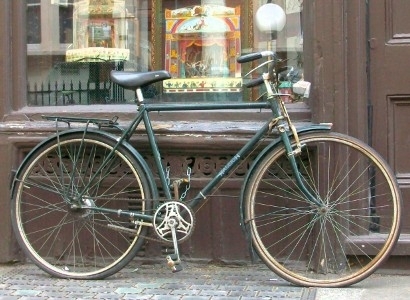 Fitzrovia has one of the lowest rates of car ownership in the UK and many people choose to walk or cycle to get around. However, Fitzrovia is blighted by high levels of pollution from motor vehicles. Back to contents. 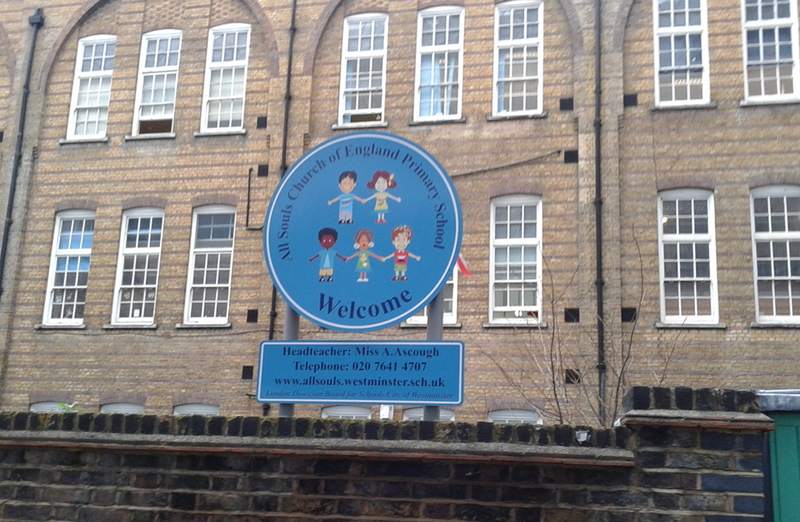 All Souls Church of England Primary School is on Foley Street and there are nurseries at Carburton Street and Whitfield Street. Fitzrovia Medical Centre in Fitzroy Square accepts patients from both Camden and Westminster. There is an accident and emergency service at UCLH 235 Euston Road. 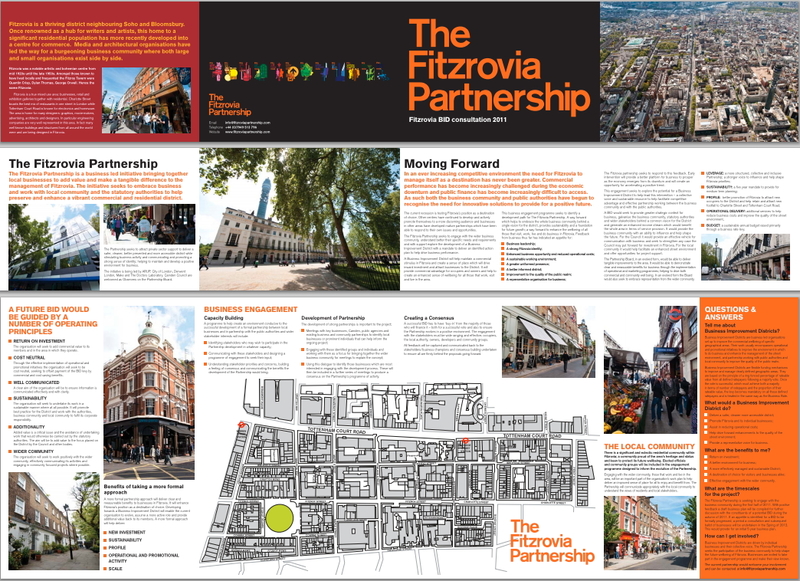 Fitzrovia Neighbourhood Association on Tottenham Street provides free housing, welfare and debt advice, community development projects and publishes Fitzrovia News community newspaper. Fitzrovia Community Centre on Foley Street has meeting rooms for hire and runs community projects. Fitzrovia Youth in Action is a youth club on Warren Street. The YMCA Indian Student Hostel provides accommodation and meeting rooms for hire at Fitzroy Square. There is The Soup Kitchen serving the homeless, elderly, lonely and poor with free hot meals and clothes on Whitfield Street. 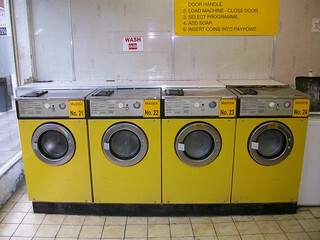 There is a coin-operated laundry at 88 Cleveland Street, and several dry cleaners throughout the area. Three post offices serve the area: 19 Newman Street W1T 1PF; The Plaza, Oxford Street W1D 1LT; and 54 – 56 Great Portland Street W1W 7NE. Back to contents. 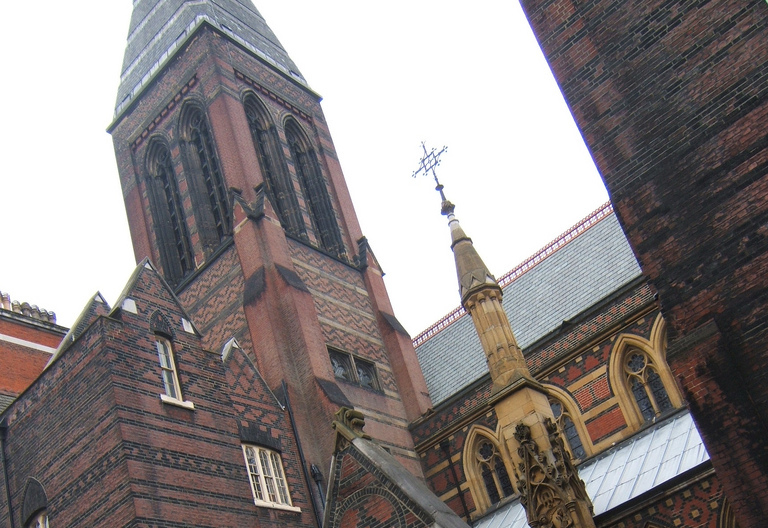 All Saints Margaret Street is the most well-known church in the area. It is built in the high-Victorian gothic style and is Grade I listed. The Roman Catholic Church of St Charles Borromeo is in Ogle Street. There are two synagogues: The Central London Synagogue in Great Portland Street, and the West Central Liberal Synagogue in Maple Street. There is a mosque of the Muslim World League in Goodge Street. There is a welsh chapel Capel Bedyddwyr Cymreig in Eastcastle Street, the American Church in London on Tottenham Court Road, All Souls Clubhouse community church on Cleveland Street, the London Jesus Centre on Margaret Street, and also the London Fo Guang Shan Buddhist temple on Margaret Street. There are also a number of new religions and other spiritual movements with premises in Fitzrovia. Back to contents. The area was first referred to as Fitzrovia in the 1930s, being named after the Fitzroy Tavern on Charlotte Street where a group of writers used to gather. Before then it did not have its own name and was known by its major streets and places like Tottenham Court Road, Fitzroy Square, and Great Titchfield Street. It was often referred to as part of the West End. The historian E Beresford Chancellor called it London’s Old Latin Quarter. The name Fitzrovia may have been first used by the founder and editor of Poetry London M. J. Tambimuttu who used the name to describe a crawl of pubs from Soho to Charlotte Street in the 1930s. It first appeared in print in a newspaper column by Tom Driberg in 1940 but was later popularised by the chronicler of 1940s Fitzrovia life Julian Maclaren-Ross. Although Willetts notes that the name was in common usage by the early 1960s there is little written record of this. It seems the name Fitzrovia fell out of use from the late 1940s as many of the writers, their associates either died or moved on. Many homes were lost as commercial buildings increased in number during the 1950s and 1960s. However, the 1970s saw the rise of a number of community activists in Fitzrovia. First the Charlotte Street Association formed in 1970 to try to prevent the demolition of Georgian buildings and stem the loss of people’s homes. Founding members of the Charlotte Street Association included the artists Adrian and Corinne Heath. 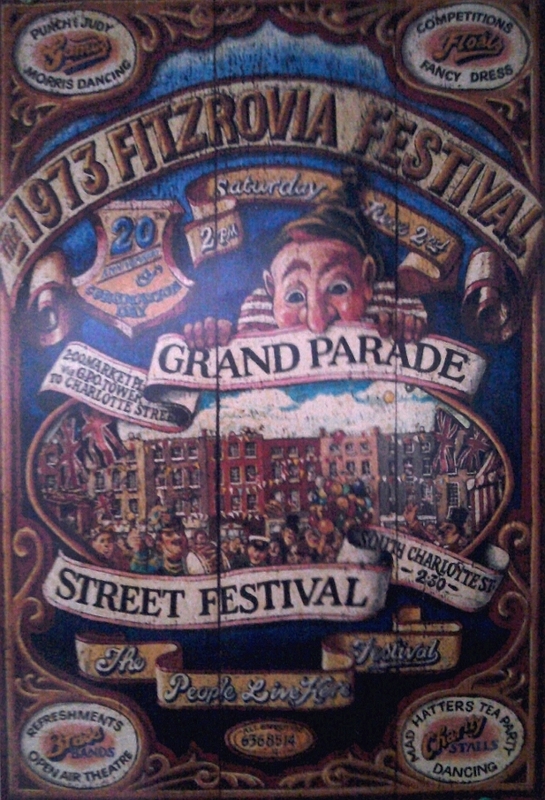 Then in 1973 the organisers of the first street festival in Charlotte Street wanted to create a title for the Festival. 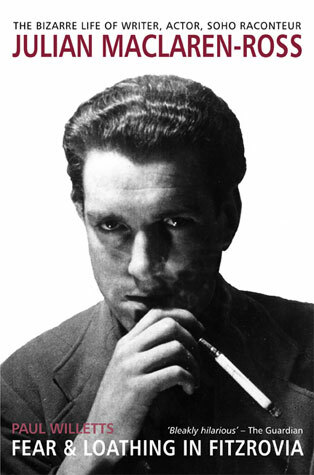 The name Fitzrovia Festival was suggested by Eric Singer, a German immigrant who recalled the use of the name in the 1940s. The organisers of the Festival were not familiar with the name at the time. So the name Fitzrovia came back into common currency reinforced by the annual Fitzrovia Festival and people now had a name from which to try to define their neighbourhood. The sense of community was further reinforced with the publication of Tower a monthly free newspaper written by volunteers and first published in 1973. Tower was later replaced by Fitzrovia News. 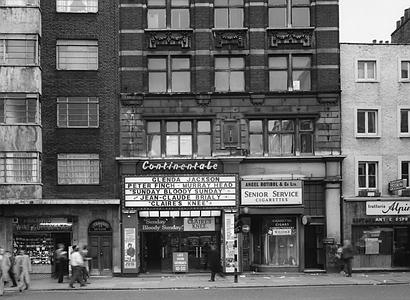 By the time the Fitzrovia Neighbourhood Centre was opened by the Fitzrovia Neighbourhood Association in 1975 the district included the streets bounded by Great Portland Street, Euston Road, Gower Street and Oxford Street. People saw it as a distinct area defined by its mix of residential and commercial uses and its small-scale Georgian streetscape. This special character they attempted to protect, particularly its residential amenity. East of Gower Street the buildings formed part of the campus of the University of London and separated the residential streets around Huntley Street from the streets of Bloomsbury to the east. Likewise Great Portland Street marked a change from the mix of residential and commercial to the more affluent mansion blocks and grander buildings the Harley Street area of Marylebone to the west. Situated on the edges of Westminster and Camden, Fitzrovia was affordable, shabby, even run-down. In the 1960s and 1970s there was squatting in empty houses which were falling to pieces and both Camden and Westminster councils stepped in to compulsory purchase large apartment blocks after their landlords had let them go to rack and ruin. Charlotte Street’s restaurants and cafes were run by immigrants and provided affordable food and drink as well as intimate places to socialise. But developers always had their eyes on Fitzrovia positioned as it is so close to the West End. Buildings were refurbished and rents rose, pushing out the independent businesses never to return. Residents in private rented flats suffered the same fate as protected tenancies and rent controls were abolished under the 1986 Landlord and Tenant Act. Friends and families moved away to cheaper and better housing. Pressure on housing in London growing since the mid-1980s continued apace. From a low point in 1979 London’s population grew again towards its pre-World War II peak of over 8 million. Fitzrovia was caught up in this, exacerbated by the advent of the Crossrail project which caused mass property speculation because of Fitzrovia’s close proximity to both the Tottenham Court Road and Bond Street Crossrail stations. Commercial pressure increased with the advent of a business improvement district in 2012 and threatened the delicate balance between residents and commercial uses. Small businesses felt the pressure from developers who wanted to amalgamate small shops into larger ones, and overseas property owners registered in secrecy jurisdictions boarded up shops having evicted the tenants. At the heart of Fitzrovia is the huge property development of Fitzroy Place on the site of the former Middlesex Hospital. The apartments being sold on the development site sold for between £900,000 and £15,000,000. In the surrounding streets, residents who have lived most of their lives in their modest homes here have found themselves forced out by rising rents and by developers selling to overseas investors. Even the relatively well-off media industry is under threat in Fitzrovia. Small agencies and production units are clustered near the larger companies, but where these do not own their property they are increasingly being priced out. Those that own their premises are sometimes cashing-in on their assets and converting their offices to luxury flats after they have moved elsewhere. Privately-rented rooms can be had for as little as £130 per week and studios and one bedroom flats start from about £200 a week if you are prepared to do a bit of walking around and checking the small ads and shop windows. Estate agents won’t have anything available for less than £300 per week. The vast amounts of construction work makes life a misery at times with the noise from demolition and the movement of concrete lorries through the streets. Today’s Fitzrovia is undergoing rapid change and as a community is very much struggling to hold itself together against the wholesale selling off of so much of its real estate. But the neighbourhood is protected by several conservation areas and the determination of many people to preserve it as a diverse living and working community. “So next time you are in the area think beyond the obvious attractions which makes Fitzrovia a trendy place to be and spend a moment or two reflecting on Fitzrovia as a community where some people now in their nineties have lived all their lives and are perhaps richer in spirit for it.” — Olive Leonard, former older people’s development worker, Fitzrovia Neighbourhood Association. London’s Old Latin Quarter, by E Beresford Chancellor, published by Jonathan Cape in 1930. Fitzrovia, Nick Bailey, published by Historical Publications in 1981. Characters of Fitzrovia, by Mike Pentelow and Marsha Rowe, published by Felix Dennis in 2002. Dickens and the Workhouse: Oliver Twist and the London Poor, by Ruth Richardson, published by Oxford University Press in 2012. Fear and Loathing in Fitzrovia: The Bizarre Life of Julian Maclaren-Ross, by Paul Willets, published by Dewi Lewis. Back to contents. Viva Fitzrovia takes you through the back streets and labyrinthine alleys of that most intriguing and mysterious district. Whose Fitzrovia? A film critical of the increasing commercialisation of the neighbourhood. Evening Standard Homes & Property: Spotlight on Fitzrovia: property area guide, 11 December 2013. London Town Guide to Fitzrovia. A guide to Fitzrovia, London, UK. LDN. Back to contents.